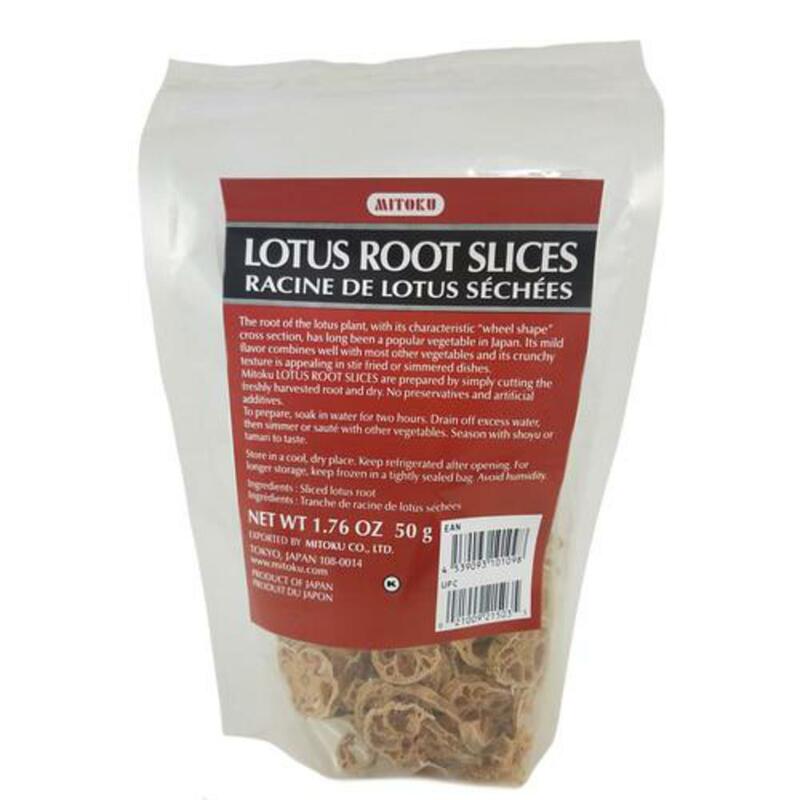 Natural Import Company - Traditional Japanese foods - Mitoku Dried Lotus Slices - 1.76 oz. 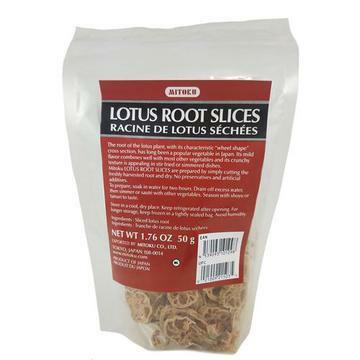 Mitoku Dried Lotus Slices - 1.76 oz. The root of the lotus plant, with its characteristic "wheel shape" cross section, has long been a popular vegetable in Japan. It is the only plant in the world that actually grows in all three elements: earth (mud), water and air, perhaps this is why it is so medicinal. Its exquisite flowers represent beauty and longevity in all of the Orient. Mitoku Lotus Root Slices (Kiriboshi Renkon) are prepared by simply cutting the freshly harvested root, leaving it to dry in the winter sunshine. Its mild flavor combines well with most other vegetables, and its crunchy texture is appealing in stir fried or simmered dishes. Ingredients: Japanese sliced lotus root. Unbleached.